Coming in summer 2007 to a solar system near you (well, near most of you, anyway): the Dawn mission! NASA’s next planned venture into the solar system, Dawn is a collaborative effort of scientists, engineers, and people in other disciplines at NASA/JPL, UCLA, Orbital Sciences Corporation, the space agencies of Germany and Italy, and other universities and private companies in the United States and elsewhere. But there is more to this mission than the people working directly on it. I view this as an adventure of humankind, with a spacecraft carrying not only a suite of sophisticated scientific instruments and impressive engineering gadgetry, but the dreams, aspirations, and most noble spirit of exploration of our still-young space-faring species. For those of you who are members of that species (and even those of you who aren’t), I invite you to share in this extraordinary adventure. In what still seems like only yesterday (and note that I didn’t sleep at all last night), I enjoyed giving some of you an inside view of the exciting flight of Deep Space 1, and I’m proud that those reports are still in circulation as a profitable set of late-night reruns throughout much of the Virgo Supercluster of galaxies. Now, by starting more than one year before launch, I am looking forward to this opportunity to involve you in our preparations for dispatching another of our planet’s robotic emissaries. I hope you will join me throughout the rest of Dawn’s residence here on Earth as well as on its journey to worlds we have yet to know. The Dawn project is on course now for a launch into the cosmic void in 14 months. Most of the project’s work was put on hold in October 2005 while NASA reevaluated it, and last month NASA approved Dawn for continuation. We are reassembling our team and formulating new and detailed plans for completing the myriad tasks necessary to begin a nearly decade-long mission in deep space. 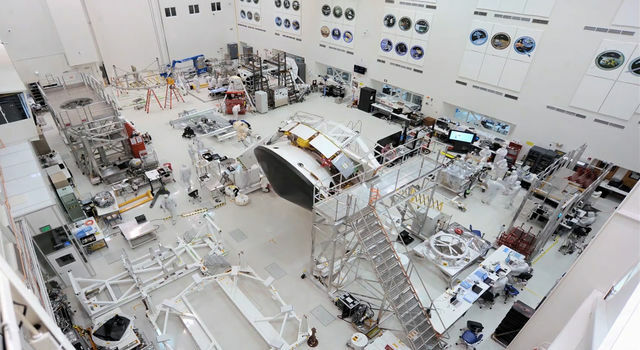 While the spacecraft is about 90% assembled in one of Orbital Sciences’ environmentally controlled “clean rooms,” much work remains to finish the delicate job of installing the rest of the components and to conduct extensive and rigorous testing to verify the readiness of the entire spacecraft and the ground operations system (consisting not only of the highly trained people, but also all of their hardware, software, and procedures). In the next log, I will provide some of the details of our new plan for the next 14 months, but for the first of these logs, it seems more appropriate to devote some attention to the overall mission. I will offer more about this over the coming year, but let’s start with a broad overview of Dawn. The fascinating process that is science has yielded remarkable insights into the formation of our solar system, but many questions remain unanswered and many details are yet to be filled in. In brief, about 4.6 billion years ago, one of the Milky Way galaxy’s vast nebulae of gas and dust began to collapse. As it did so, most of the material fell to the center of the cloud, eventually forming the Sun, where the majority of the mass in our solar system remains concentrated. 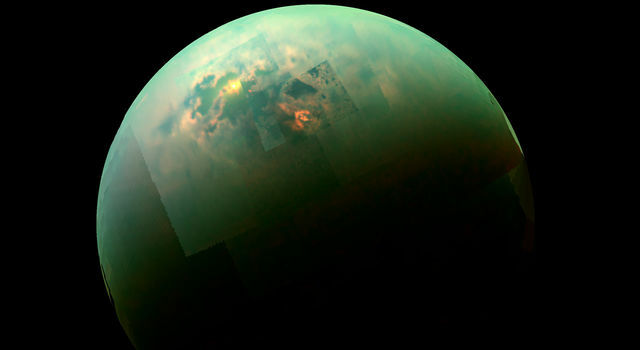 But as many residents and visitors to it know, the solar system consists of more than the Sun. Some of the tiny particles of dust accreted elsewhere in the condensing cloud, gradually growing in size to become rocks and eventually building up to planets. There is greater uncertainty about how the largest planets, Jupiter and Saturn, formed, but apparently once Jupiter did achieve its enormous bulk, its powerful gravity halted the assembly of nearby matter into planets. Much of that material, deprived so long ago of the opportunity to continue conglomerating, now forms the asteroid belt, between Jupiter and Mars. The two most massive protoplanetary remnants of that epoch are Ceres and Vesta, and they are Dawn’s destinations. While they seem to have formed at very similar distances from the nascent Sun, and thus, one might expect, under similar conditions, observations from distant Earth show these two bodies to be very different from each other. Water seems to have played an important role in Ceres’ history, and there is reason to believe it might still harbor a substantial inventory of that precious commodity, never having been hot enough to drive the water away. Vesta, in contrast, displays the signatures of minerals found in lava, indicating that different forces shaped its history. Despite the impressive discoveries made so far, our ability to learn about these asteroids from Earth, hundreds of millions of kilometers away, is very limited indeed. By gathering information about Ceres and Vesta from orbit around them, at distances of only hundreds of kilometers, scientists can learn much much more and retrieve the records the protoplanets hold about the very early solar system. While some people may think of all asteroids as chips of space rock, Ceres and Vesta in many ways are more like planets -- real worlds. The largest asteroid yet encountered by a spacecraft is Mathilde, which the remarkable NEAR-Shoemaker spacecraft glimpsed as they zipped past each other in 1997. It has a very irregular shape, with its largest dimension being about 66 kilometers (41 miles). In contrast, Vesta’s equatorial diameter is about 580 kilometers (360 miles). That is sometimes compared to the size of Arizona in the United States. A tremendous crater at Vesta’s south pole is about 460 km (285 miles) in diameter. How exciting it will be to use Dawn to see the rugged terrain and complex geology of that enormous excavation, a window provided by nature to let us peer deep into Vesta’s interior. Ceres, which by itself contains one quarter of all the mass in the asteroid belt, is about 975 km (605 miles) in diameter. The only states in the United States that are larger are Texas and Alaska. But comparisons of the protoplanets’ diameters with terrestrial landforms fail to convey their real sizes, because these orbs are three dimensional bodies. The surface area of Vesta is more than three times that of Arizona, and Ceres’ surface is as large as Alaska plus Texas plus California. In fact, it is about one third of the area of the United States, and almost 40% of the area of the contiguous United States. These are big places, and there certainly will be many beautiful and intriguing things to see in their varied and alien landscapes. Part of the allure of Dawn is that it is bound for some of the last unexplored worlds in the inner solar system. No spacecraft has ever attempted to orbit two targets after leaving Earth. Such a feat would be far beyond our capabilities without the use of ion propulsion, which Deep Space 1 proved to be the fantastically efficient and reliable system generations of science fiction fans have known it to be. Ion propulsion is also what allowed NASA to shift Dawn’s launch date from its original plan of 2006 to 2007 without having to change the plans for the rich scientific investigations to be conducted. Most missions beyond Earth orbit are restricted to short launch periods, usually only a few weeks long. (Engineers distinguish the launch period -- the range of days on which a launch can occur -- from the launch window -- the span of time on any one day in which a launch can take place.) With the extraordinary maneuvering capability of its ion propulsion system, Dawn could conduct its planned mission with a launch any time from May 2006 (or perhaps much earlier) to November 2007. This has given us the flexibility to fit Dawn’s launch in an opening in the schedule at Cape Canaveral. Based upon that, and not the more interesting science of celestial mechanics, we are targeting a launch in June or July 2007. The flexibility afforded by the ion propulsion system means that the details of Dawn’s itinerary may still change, but in the current plan the spacecraft will fly past Mars in March 2009 on its way to the more distant asteroid belt. Thrusting with its ion propulsion to ever-so-gently shape its trajectory to match Vesta’s path around the Sun, Dawn will ease into orbit around Vesta in September 2011. It will spend about seven months there, subjecting Vesta to intense scrutiny with its scientific sensors. Leaving behind what will then be a familiar world, Dawn will resume its interplanetary travels. Nearly three years later, following its arrival at Ceres in February 2015, it will devote five months to coaxing out the secrets that are stored there. At the end of the mission, Dawn will remain in orbit, accompanying Ceres on its leisurely 4.6-year revolutions around the Sun. Because of its heft, the gravity of Ceres is too high for Dawn ever to make a controlled landing. Travels far from Earth, exploration of new worlds, ion propulsion, rocket science, amazing feats of engineering, new scientific understandings, probably some disappointments and scares but certainly some drama and thrills -- all this lies ahead on this futuristic mission. As the Dawn team works hard to prepare for next year’s launch and the voyage that follows, I hope you will join me in this exciting journey through space and time as we seek the dawn of the solar system. The future -- and the past -- await us!